Warm up your vocal chords as Sing-a-long-a Sound of Music returns to St George’s Hall on Friday 6 March in celebration of the 50th anniversary of the iconic Julie Andrews film. Sing-a-Long-a Sound of Music is a screening of the classic film musical in glorious, full-screen technicolor, complete with subtitles so that the whole audience can sing along! A host guides the audience through a vocal warm-up before introducing them to their complimentary magic moments fun pack, containing various props to be used at strategic points throughout the film. 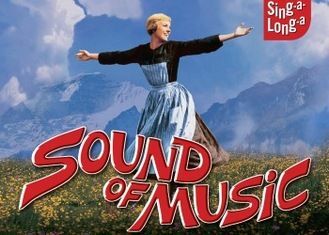 Now in its fifteenth year the current Sing-a-Long-a Sound of Music UK tour began in January 2000. By the end of that year it had played in more than 70 UK towns and cities, and is now a worldwide success playing all over the world including; New York, L.A., San Francisco, Toronto, Sydney, Melbourne and Oslo. A favourite with young and old alike, the audience are the stars, so it’s the perfect night out for family trips, hen parties, office outings or anyone who has ever shed a tear during Edelweiss.